Join herbalist Emily Berg of Herb + Home to learn how to pamper yourself ceremoniously! You'll learn all about how to create a sacred bath ritual for yourself, working with supportive herbs, essential oils, crystals, and intention, to support your relaxation and infuse bathtime with magic. 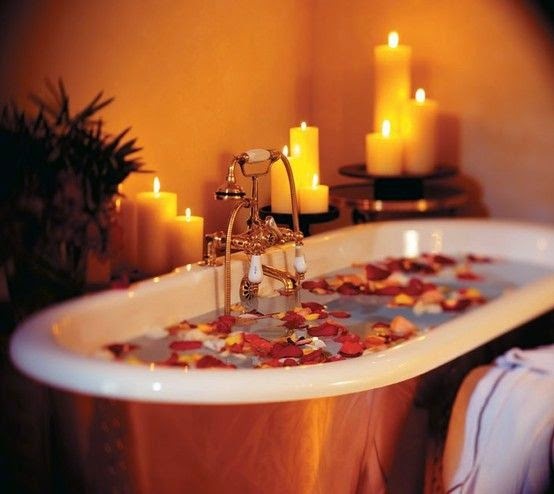 You'll leave with the knowledge of how to create a sacred bath ceremony that will heal you on a physical and energetic level, as well as your own magic bath salt blend for you to enjoy at home! In this class on the Art of Sacred Baths we will dive into ritual and bath formulation around cleansing the body of negativity and helping to manage stress, heartbreak and grief. We will cover sacred materials, setting-up space, the healing properties of helpful herbs, oils, and crystals, and how to blend on your own infusing magic and intention into your meditative bath practice. Participants will craft their own sacred bath blend to take home. Emily is a community herbalist with a practice that focuses on mental health, adrenal fatigue, topical skin care, and herbal remedies. She apprenticed at Heartstone School of Earth Essentials in Van Etten New York in 2013, under Tammi Sweet and Kris Miller, in the lineage of Pam Montgomery and Rosemary Gladstar. Emily enjoys offering herbal products and services through her company Herb + Home, based out of Brooklyn, New York and at The Alchemist's Kitchen in the Lower East Side of Manhattan. Emily believes that herbs can be powerful allies to people in our healing journeys and aims to help facilitate healing through herbalism and mindfulness.